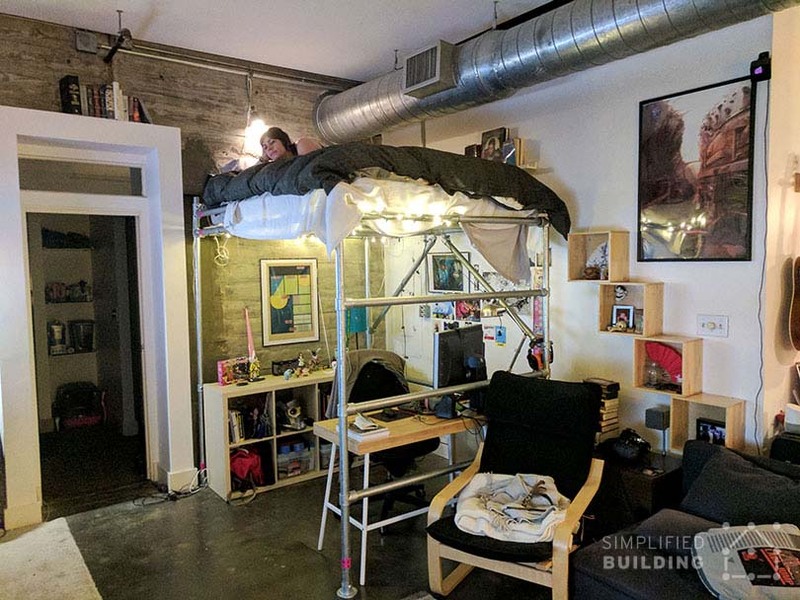 This amazing full-size loft bed was built by Brad for his and his wife's condo in downtown Austin, Texas. 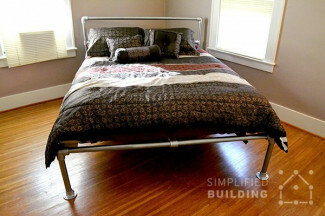 The loft bed frame is built entirely using pipe and Kee Klamp fittings. The unique design has enough room under the bed for a full desk and added storage. 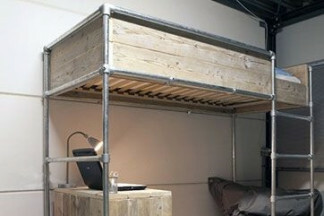 It's perfect for the couple's industrial-style bedroom and is a great loft bed option for adults. In this post, we'll take a closer look at Brad's project and the fittings you'll need to build one just like it. 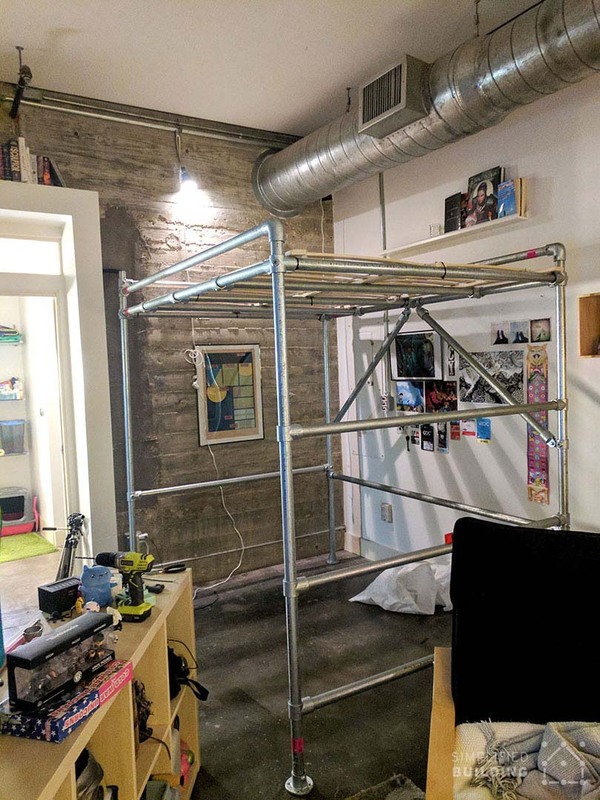 When it came time to find an adult-sized loft bed for the couple's condo, Brad took to the internet to find an option. 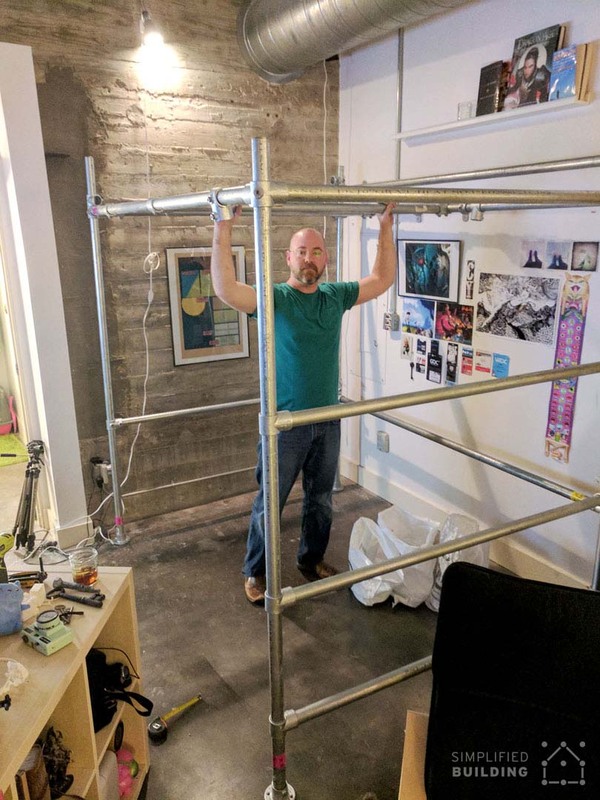 After finding only a few options for adults (that didn't fit the look and sturdiness he was going for), Brad decided to build his own bed using Kee Klamp fittings. 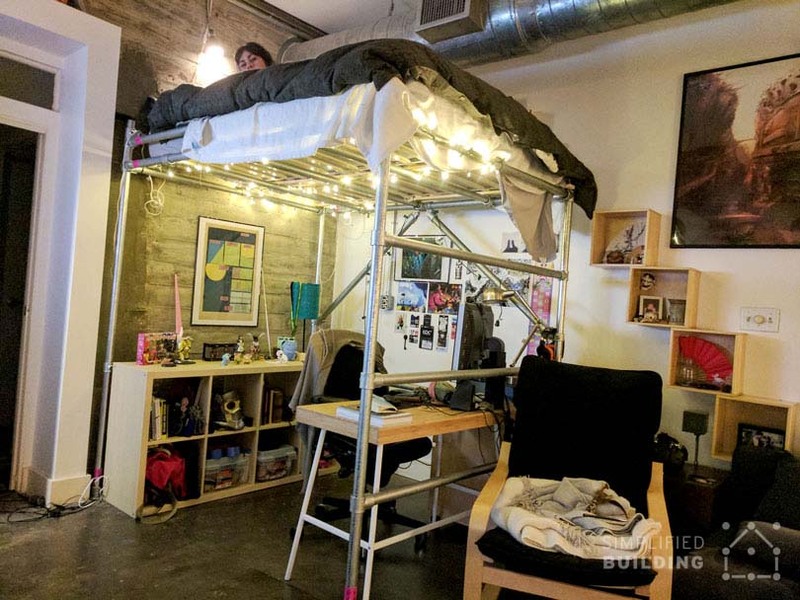 "I built this loft bed for my wife and I in our downtown Austin condo. 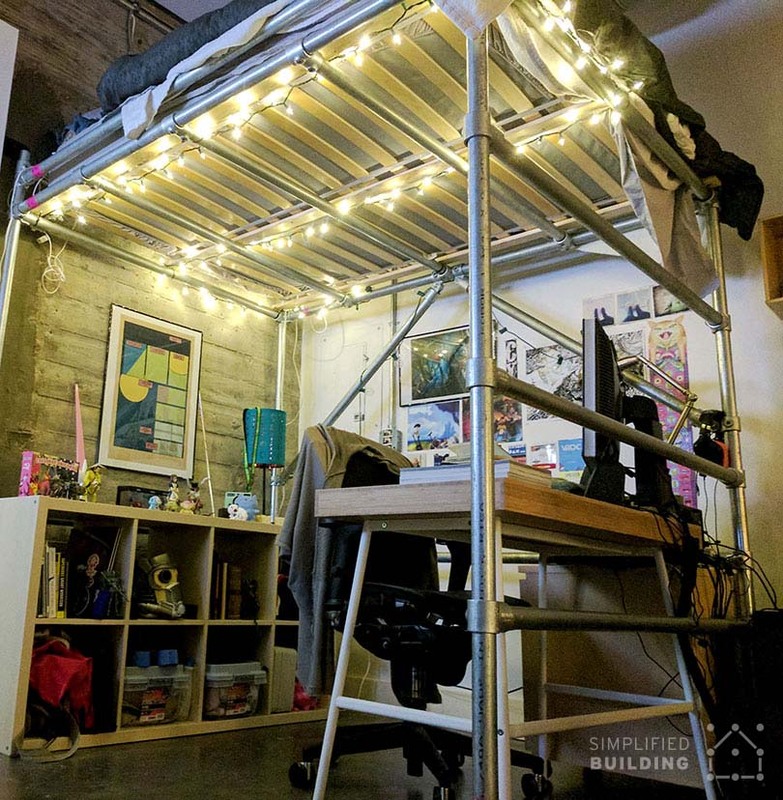 My wife and I wanted a full-sized loft bed that would have enough room for her office underneath, and yet hold our weight and feel solid for adults. 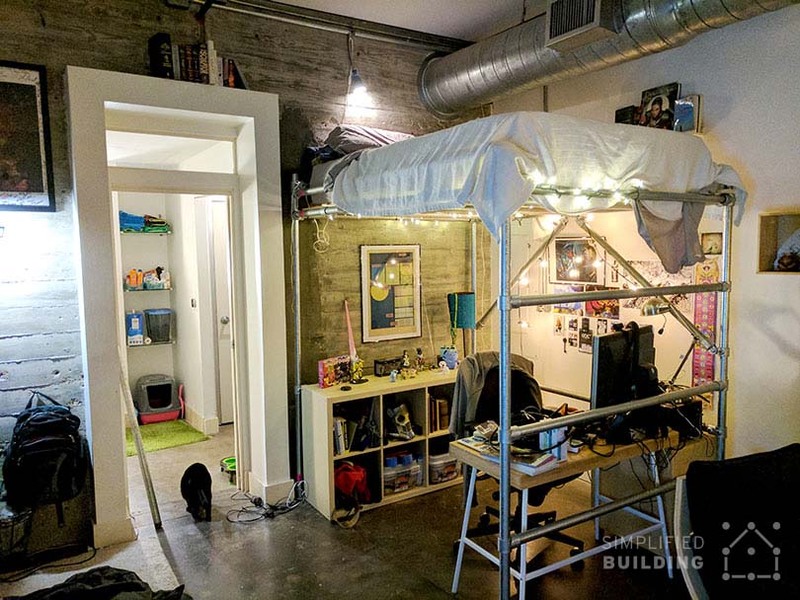 It also had to look appropriate for our condo, with exposed ductwork and industrial materials from the 1930s. 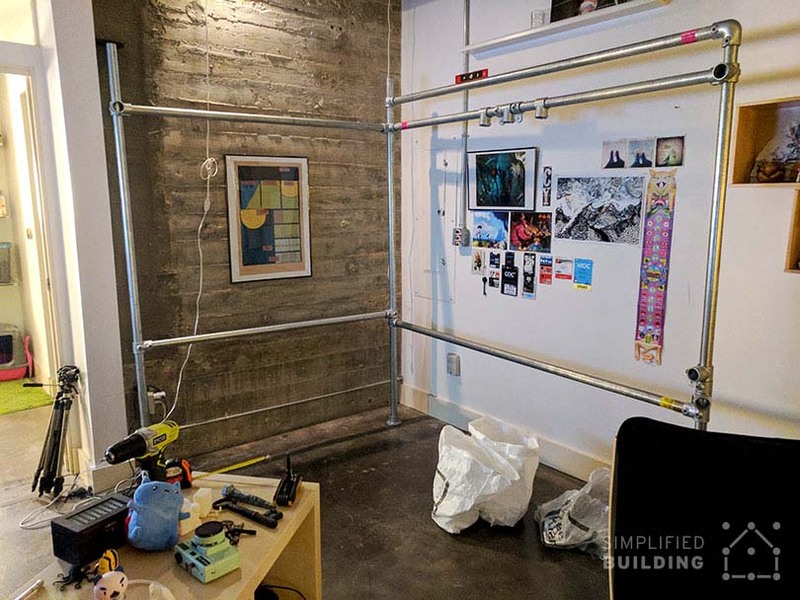 I designed the project and crafted the 3D model in Sketchup, then submitted my design to the folks at Simplified Building. They sent me exactly the correct fittings from my design specs, all in one simple order. I bought and cut the 1-1/4 in. galvanized pipe locally at a home improvement store. Assembly was simple and took around 3-1/2 hours. Works fantastic, and looks great!" "Assembly was amazingly simple and fast! I knew that, even though I had designed what I wanted, I could adjust and alter the design organically, giving me flexibility with my build." 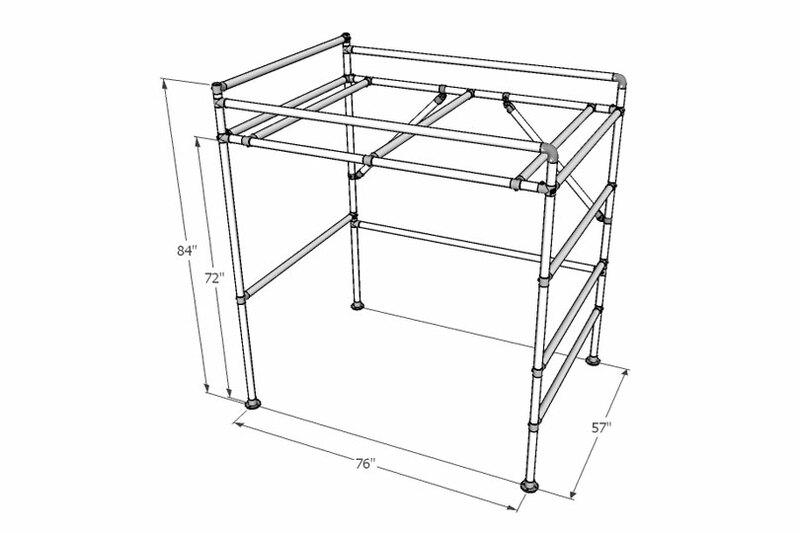 Below, we have listed all the fittings you will need to build a loft bed frame exactly like the one Brad built. However, the design can always be modified. If you need any help, or just want to run some design ideas by us, feel free to reach out to our projects team for free design assistance. 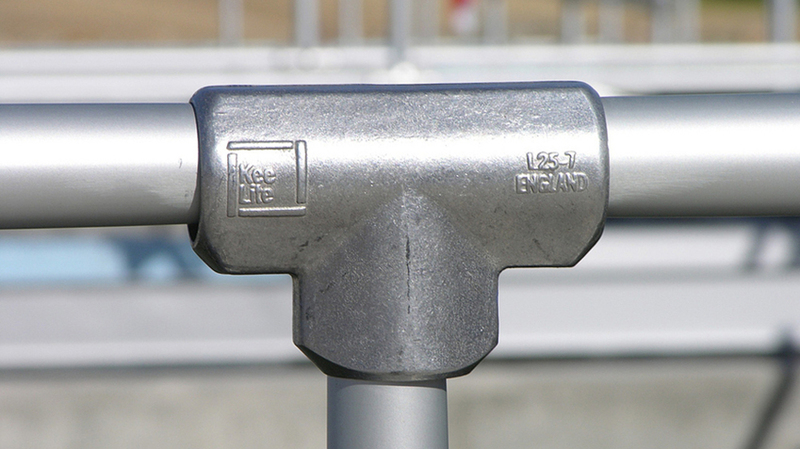 Also, remember that the height, width, and length of the frame can all be configured based on the length of pipe you buy. That means this design can be adapted for other mattress sizes like a queen or twin-size mattress. Now that you have your list of fittings, you may be wondering how it all comes together and where each fitting goes. 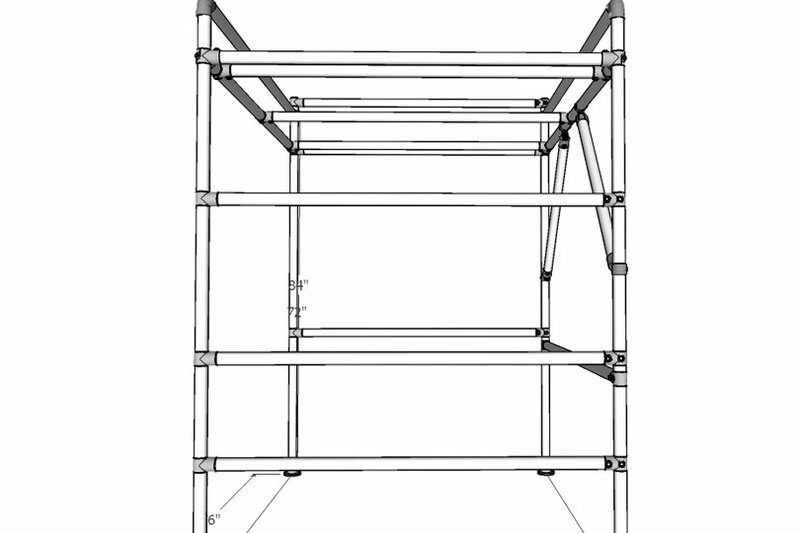 So we've put together a Sketchup drawing of this project and included few helpful diagrams below. A few of the images are even interactive and you can hover over the plus buttons to see which fitting is used at a certain point. 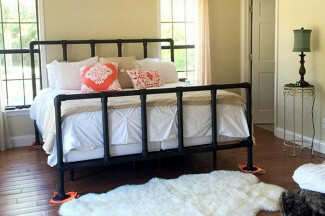 To accommodate a full-size mattress, Brad's bed frame is 57" wide by 76" long. The height from the ground to the bottom of the mattress support is 72" and the full height is 84". 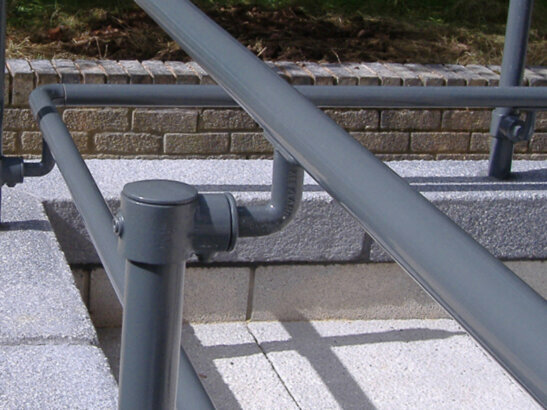 A safety rail is used at the top of the frame so the couple doesn't fall off and ladder rungs at the end of the frame are created, using Single Socket Tee fittings, to allow access to the top. 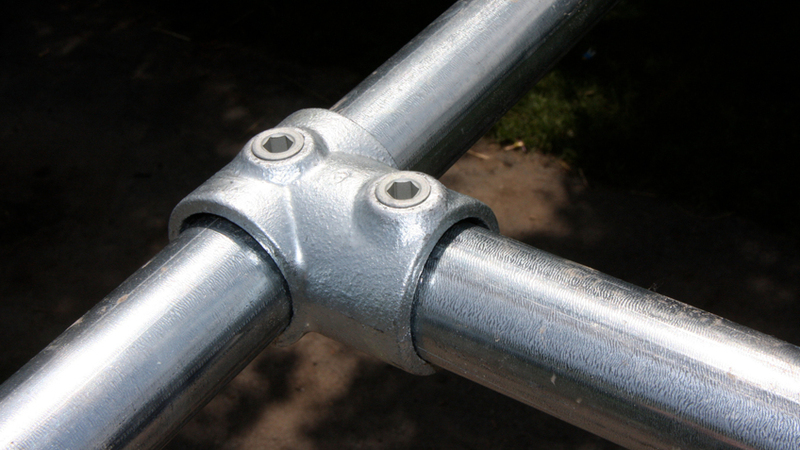 Four flange fittings are used at the bottom of the bed frame to provide a stable base. The images below are interactive. If you hover over or click on the "+" buttons, a popup box will show with the fitting used at that certain point. 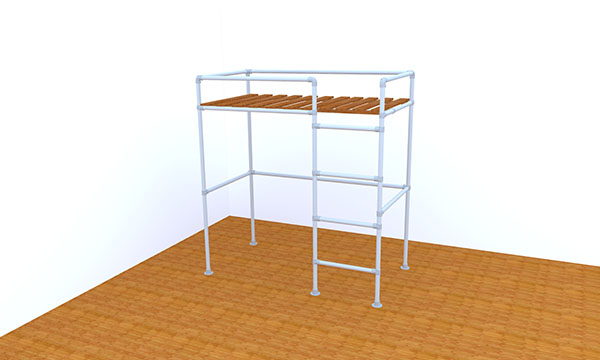 Need Help with Your Loft Bed? Hopefully, this walk-through has provided you with enough information to get started. But, if not, be sure to leave your questions below and one of our projects team members will be glad to help. Also, remember that we do offer free design assistance. Our team is experienced in designing and building with Kee Klamp and has helped many customers come up with their own perfect design. 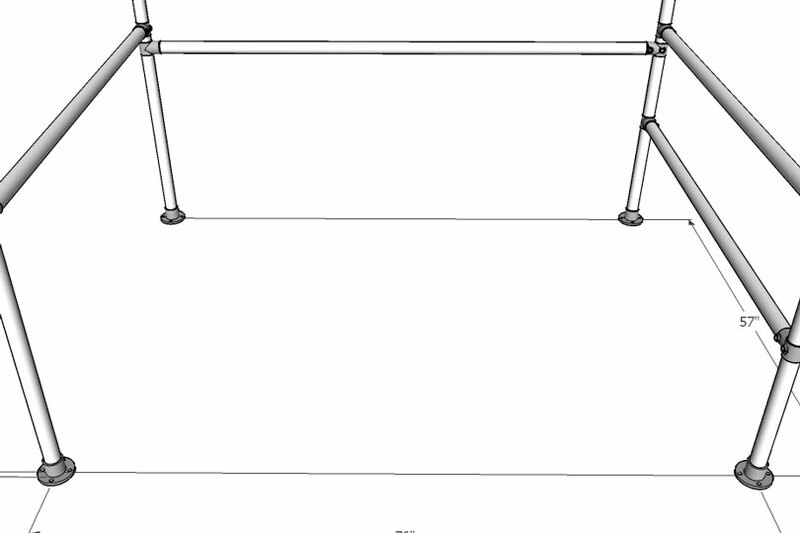 They'll even create a custom Sketchup drawing for your project so you can see how it will all come together. As always, let us know in the comments below what you thought of this project and be sure to sign up for our email newsletter to receives updates on future projects like this one.